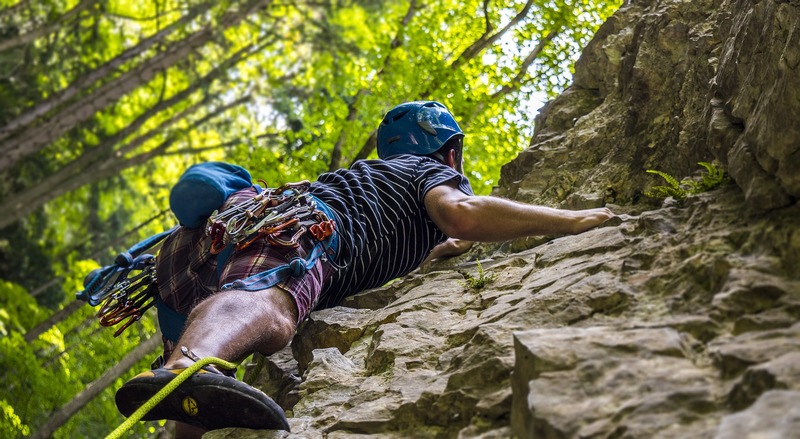 Find your ideal chalk bag for every rock-climbing adventure. Chalk bags remain a must-have item for travelers who enjoy rock climbing. These products provide you with a place to store chalk, so you’ll have it when you need the gripping power. You can simply dip your hands in the bag and get chalk on your fingers before scaling a mountainside. The best chalk bags also provide a nice personal touch to a climber’s gear and climbing outfit. If you’re searching for your ideal chalk bag, check out our article below. We’ve crafted a list of the five best chalk bags to take along on all your rock-climbing expeditions this year. Buy a new chalk bag before scaling a mountainside this year. A majority of chalk bags have been crafted utilizing the popular cylindrical shape. This rounded style of bag makes it easy for travelers to keep their chalk stowed away. You can easily dip your fingers in the pouch and begin climbing mountains. The cylindrical-shaped chalk bag remains a top choice for travelers, as it can hold a huge amount of chalk. This means you won’t have to worry about refilling the bag frequently, which would make outdoors adventures more tedious. In this manner, the cylindrical shape would be preferable for those embarking on longer rock-climbing trips. Additionally, the wider shape lets people fit their entire hand inside the bag without it getting stuck. Another common chalk bag shape includes the tapered design. Tapered chalk bags let you stick your finger in quickly, without getting the rest of your hands messy. These bags don’t hold as much chalk as the cylindrical bags, which makes them perfect for short outdoors trips. Anyone partaking in a particularly difficult rock-climbing trip may like these smaller bags, as they weigh very little. The efficient design of the tapered chalk bag ensures travelers won’t feel weighed down while carrying one. Consider the tapered bag if you’re going to be worried about excess weight. Alongside pre-designed chalk bags, travelers can find companies that craft specially made chalk bags. These companies ask travelers to design their own chalk bag based on their specific tastes and wants. For example, you could purchase a chalk bag with a simple, no-frills design, or buy an extremely colorful bag. When you decide to get a chalk bag, you might not like the ones already available in stores and online. With the custom-made chalk bags, you’ll be assured of getting a product that you truly love. Travelers who rock climb frequently will appreciate a unique chalk bag, since they’ll be carrying it very often. 1. How much chalk will I need to carry? Before you consider buying a chalk bag, you should think about how much chalk you’ll need during your outdoors trip. Travelers who will be spending lots of time rock-climbing may need a larger amount of chalk than others. This means those travelers may want to look at bags that provide more room, such as cylindrical-shaped chalk bags. Conversely, if you’re worried about carrying extra weight, you may prefer a smaller chalk bag. As mentioned above, the tapered chalk bag might be more useful for those who don’t require lots of chalk. This style of chalk bag remains ideal for quickly dipping fingers in chalk. 2. Do I care about style or a unique appearance? Countless different kinds of chalk bags remain available for purchase by travelers. These bags may have simple, basic designs, with plain colors and not many design features. Other chalk bags utilize interesting patterns and colors, making them enticing to those with vibrant styles. If you’re someone who prefers clean, classic designs, you can find a chalk bag that fits those tastes. Some travelers may enjoy having a bag that represents their personality. If this might be the case, consider looking at bags with fun patterns or cool images. You’ll be sure to find a chalk bag that feels unique and matches your personal style. 3. 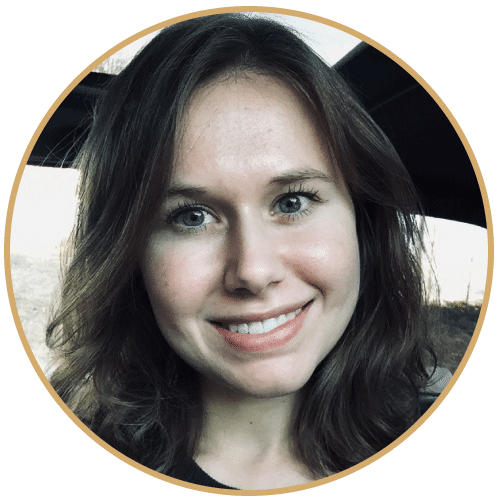 What kinds of additional features might I like to have? Some chalk bags maintain fairly straightforward designs, utilizing very few design features. A lot of bags will have a stiff rim and close with a drawstring to keep chalk from spilling out. However, many chalk bags come with special features that make them stand out from other bags. Certain bags may have a different inner lining and belt for easier transport on the body. Loops that hold a tiny cleaning brush allow travelers to clean up after themselves when rock climbing with chalk. Whatever you think you might need in a chalk bag, consider those features before purchasing a product. As discussed previously, chalk bags come in different sizes depending on the rock climber’s needs. If you’re going to be scaling mountains for a long time, you may require a bigger chalk bag. These larger chalk bags will be able to hold more chalk, so you won’t have to worry about refilling them. On the other hand, consider a small chalk bag if you will only be climbing for a short period. 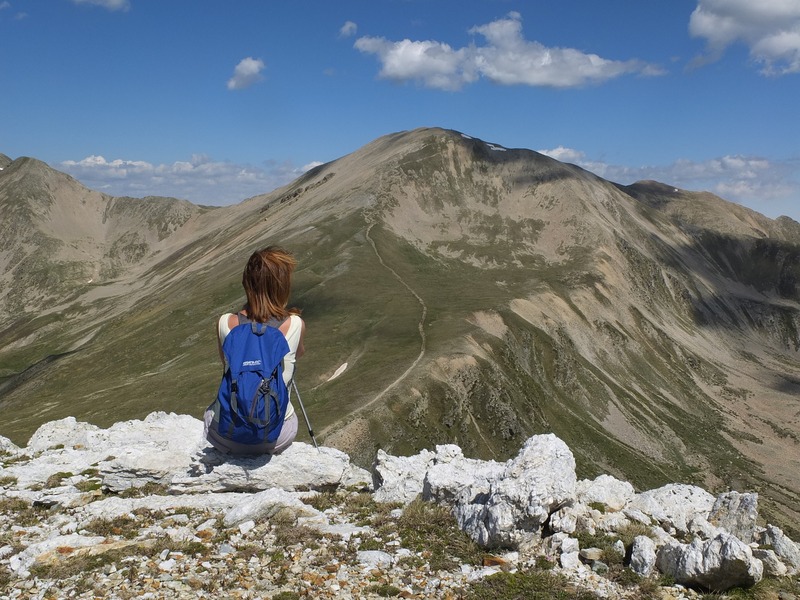 Additionally, the smaller the bag, the less amount of weight you’ll have to carry when climbing. This means you’ll want a tinier chalk bag if you’ll be concerned about holding too much weight on your body. Different shapes of chalk bags remain available for travelers to purchase. The most common shape would probably be the cylindrical chalk bag. 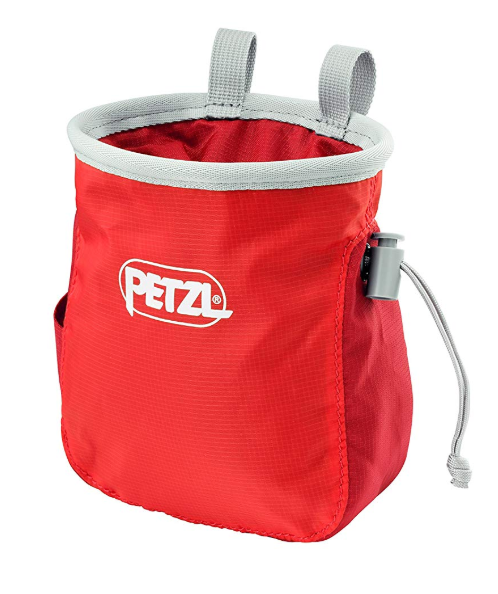 This kind of chalk bag provides a wider opening for easy access to chalk while climbing. Climbers who need to carry lots of chalk may prefer the cylindrical shape for this reason. Alternatively, chalk bags with a tapered shape don’t hold as much chalk but remain easy to dip fingers into. If you need a way to quickly dip fingers in chalk, consider the tapered chalk bag. Those with concerns about their hands fitting easily inside the tapered chalk bag may want the cylindrical shape instead. Travelers who like to spend time outdoors may enjoy purchasing travel gear that fits their specific tastes. If you’re going to be wearing the same gear all the time, you might as well purchase exciting items. Chalk bags come in a variety of styles and designs, letting travelers choose one they truly love. You can find a chalk bag in your favorite color, pattern, or with a unique picture on it. Instead of choosing a basic chalk bag in a simple design, consider purchasing one that fits your vibrant personality. This chalk bag remains the perfect product for storing all your chalk while you rock climb. A cylindrical shape enables easy dipping when you want chalk on your fingers. The built-in brush holder and bottle opener provide additional features for making your outdoors expedition even easier and more fun. If you’re looking for a vibrant chalk bag, consider the Koda Chalk Bag by Petzl. This product comes in bright colors, including coral and raspberry. A wide opening and rigid rim also enable travelers to easily get their hands inside and covered in chalk. 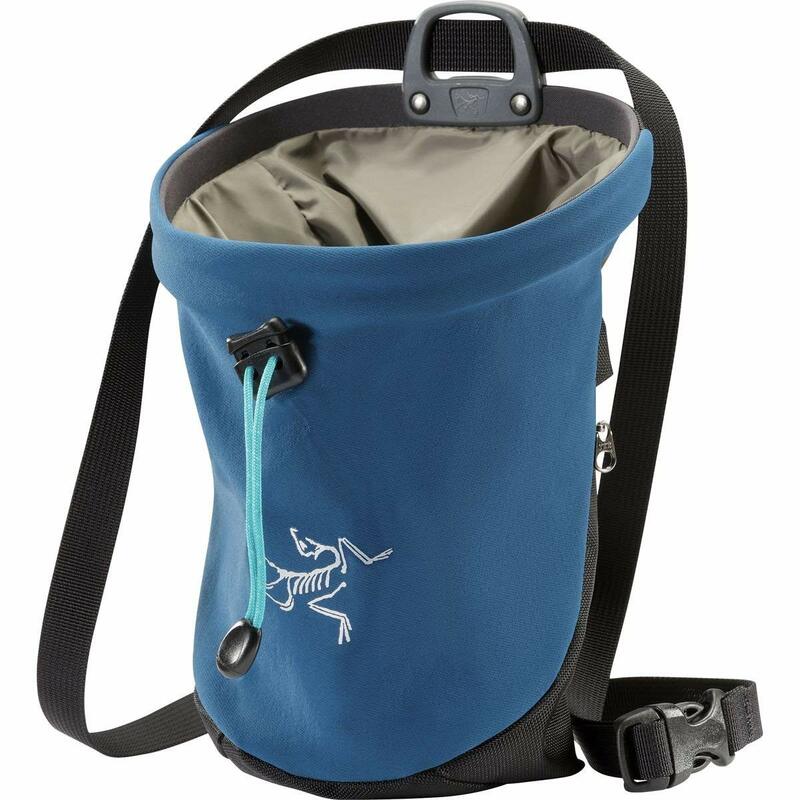 The PRANA Chalk Bag With Belt represents an ideal option for travelers who want a smaller bag for rock climbing. However, the bag still holds a reasonable amount of chalk for longer outdoors expeditions. Double belt loops on this chalk bag provide better stability on the body while you climb as well. This chalk bag has a very unique design, making it stand out from other typical chalk bags. The exterior contains a galaxy pattern, so astronomy-loving travelers will truly appreciate this bag. 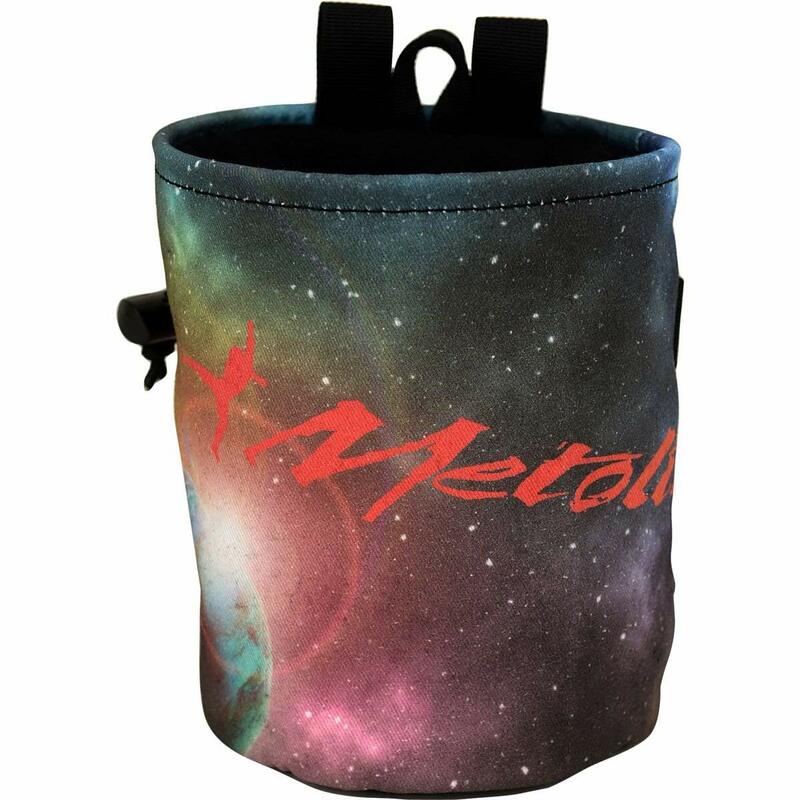 Additionally, the Metolius Galaxy Chalk Bag has a slightly larger size, enabling travelers to fit two hands inside it. 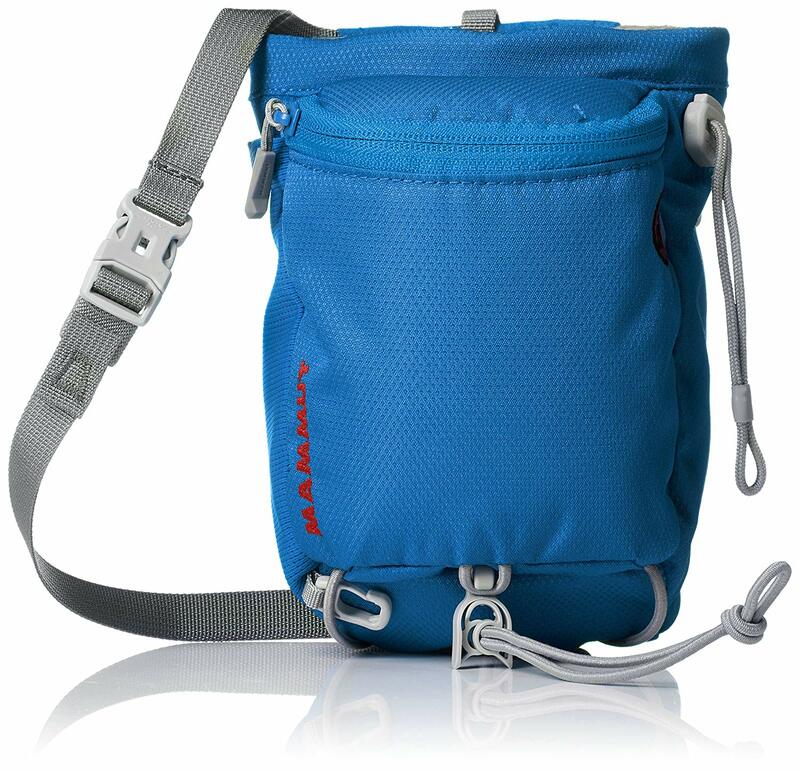 The Mammut Multipitch Chalk Bag remains a great option for travelers who enjoy multi-use products. 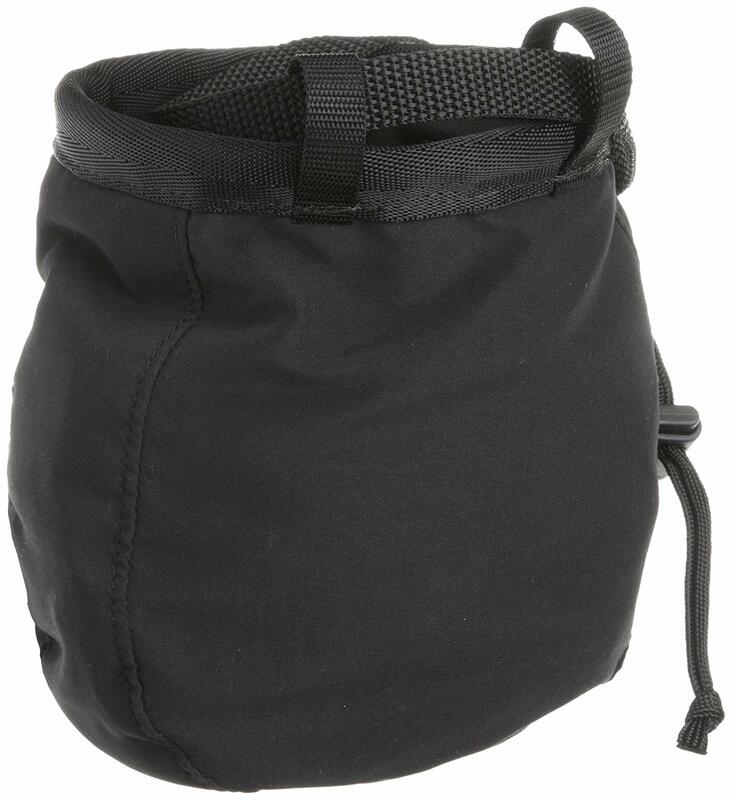 This chalk bag contains many useful features, such as storage space for a phone, keys, camera, and snacks. A toothbrush carrier and jacket attachment also provide rock climbers with extra functionality that they won’t find in other bags. If you’re a traveler who loves to rock climb, you probably already know the importance of having a chalk bag. These bags store your chalk in an easy-to-reach location, so you can simply dip your fingers and climb. Chalk bags come in varying styles and designs, from typical cylindrical shapes to custom-made versions. Since you’ll be bringing the chalk bag throughout your expeditions, why not purchase a unique and exciting chalk bag? You’ll enjoy using the chalk bag more if it matches your personal style as well as your rock-climbing needs. We hope our article has helped you learn about some of the best chalk bags available to rock-climbing travelers.